This teenager made $7,000 last year as a drone photographer. How an Australian 13-year-old turned a passion of tinkering with machines into a money-making business. Lots of teenagers around the world have a side gig to make money: babysitting, mowing grass, bagging groceries. But not many of them are making thousands operating mini-aircrafts snapping photos from above. But that’s exactly what Hudson Horne does. He’s a 13-year-old drone photographer, and turned a hobby into a lucrative, early venture into entrepreneurship. 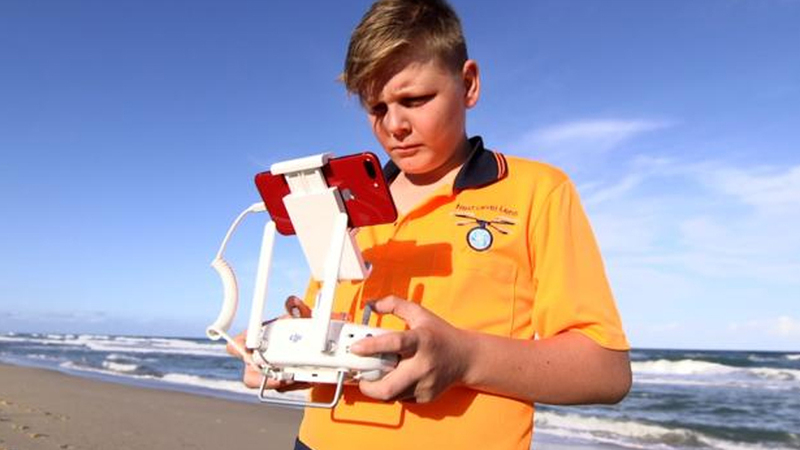 The Australian teen says he’s been using the new technology for the last two years to be making extra cash. And lots of it – last year he made over $14 000 Fijian dollars. Not bad for someone still in school. Horne says no matter what happens, he sees his love of robotics carrying him into the future – not only does he use the devices to take photos, but he’s keen to build them, too. “If I do go out of business, I can still be making drones,” he says.